Walk through the White-walled Cityscape of Yanai, Yamaguchi Prefecture! 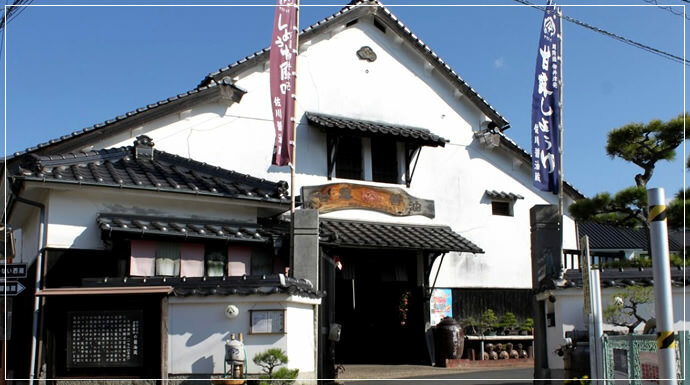 The white-walled cityscape of Yanai City at Yamaguchi Prefecture was renown as the “Wardrobe of the Iwakuni feudal clan” of the Edo period, with many remnants of merchant stores and old buildings. Stroll around this picture story below and get introduced to Yanai. Imagining the bustle of the past explore the walks along the white walls stretching for over 200m, one of the main attractions of Yanai. The Garden of Muroya opened as a resource centre, and used to be a residence of the Oda family who were large oil dealers about 300 year ago. It is believed to be the largest town house in Japan, which is approximately 0.65 acres. The Kunimori residential home is a merchant residence that was built in the late 18th century. It portrays the typical architecture of a merchant’s home from the Edo era. A former residence of Doppo Kunikida, who was a celebrated writer of the Meiji period. Doppo Kunikida spent a couple of years in his youth, here in Yanai. It now serves as a resource centre. Kōdai-ji Temple commonly called the Wanwan Temple, was also associated with Doppio Kunikida. Next to the temple is Oka-no-Ue Park, famous for viewing cherry blossoms. Yanai west warehouse was used as a storehouse for soy sauce until the building was renovated. Presently it is converted to a workshop to give tourists an experience of various crafts. Sagawa soy sauce warehouse makes sweet soy sauce, special as an Omeyage from Yanai. Don’t forget to buy this as a souvenir, on your way back. Enjoy ambling with your family, or let your children free at the playground nearby, or entertain yourself with sports based activities. Exploit the best of Yanai. Buddhist priest “Gessho” opened a private school, near the Myoen Temple at Yanai City, in the Tozaki district. The building still exists. Enjoy the nostalgic feeling of Yanai’s pristine white-walls. While you explore the city, gradually the relaxed air will uplift you physically and mentally. Visit at least once, if you happen to come to Chugoku region.